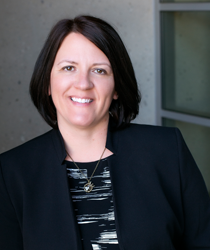 Jamie Ceman is the Vice President of Strategic Marketing and Communications (SMC) for Chapman University. Jamie began her role as vice president on February 6, 2018. She came to Chapman with 20 years of marketing and digital experience in both the public and private sectors. Prior to joining Chapman, she served as the Assistant Chancellor of University Marketing and Communications at the University of Wisconsin – Oshkosh. Originally from the Midwest, Jamie’s career includes e-business consulting in the private sector and e-commerce marketing for two national brands prior to entering higher education in the University of Wisconsin system. She is the recipient of numerous professional awards, including recognition from the Association of Marketing and Communication Professionals (Hermes and MarCom Awards) and the Council for Advancement and Support of Education (CASE) Circle of Excellence. In fact, Jamie and her team at Oshkosh were the first-ever winners of the American Marketing Association’s Higher Education Marketer of the Year Award in 2012. At Chapman, Jamie leads the continued evolution and roll-out of the University’s branding strategy to continue the push to national and international stature for the institution. An alumna of the University of Wisconsin – Oshkosh, Jamie earned a bachelor’s degree in business administration with an emphasis in management information systems. She also holds a master’s degree in integrated marketing communications from West Virginia University.